Emerald FPC500 Single Board Computer. The Basics of Predictive & Preventive Maintenance . 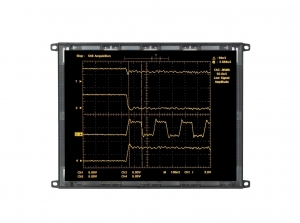 The LJ64ZU35 display is an Electroluminescent (EL) display that we have been repairing for the past 15 years. At the Capetronics facility in Clearwater FL we have the capability to perform full functional testing on the LJ64ZU35 EL displays. What this means is, we thoroughly test every pixel on the glass substrate. This brings us to the next part of our testing procedure. We X-ray the substrate after repairs have been performed as part of our in-house quality program. Once we are satisfied with the results we will perform a IR thermal footprint test as part of our predictive and preventive maintenance repair program. Finally we will also perform a custom programmed full load and burn-in test. All components used are original OEM brands and time and heat sensitive components are date coded. At Capetronics we really do go above and beyond your normal electronic repair facility for peace of mind. We issue a return authorization number for the potential repair. When we have received the display(s) we visually inspect it and start a job packet. If the display is repairable, it will be diagnosed for the source of the failure. Once the failure issue has been sourced, we will replace ALL time and heat sensitive components along with the faulty component(s). Next it’s off to our rigorous testing department. X-ray substrate looking for potential issues. Compare heat signatures using state of the art IR equipment and advanced IR research software. Perform a burn-in period for the newly replaced parts. We never subcontract out any work under any circumstances. All our EL display work is performed at our lab in Clearwater FL USA.